Most people with a little bit of common sense realise that Kaljakellunta is pretty dangerous. 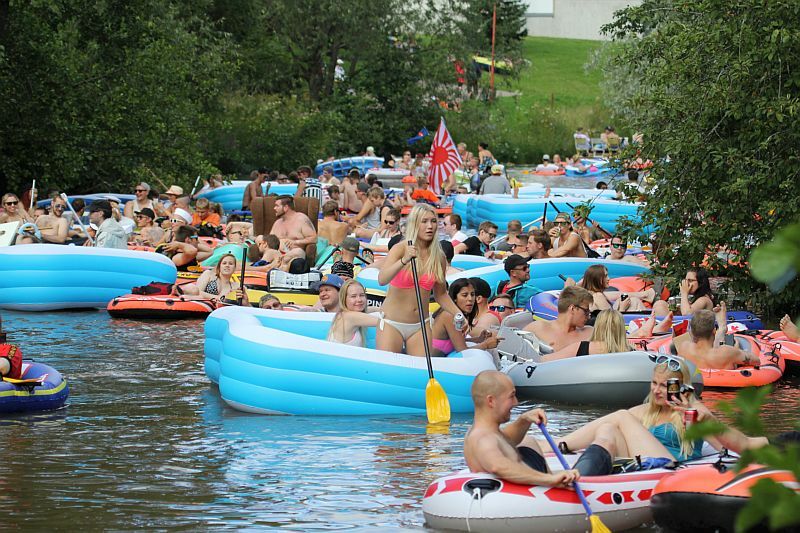 Thousands of drunk people floating in a deep river without life vests creates a life threatening combination. Suprisingly though, no one has ever drowned in Kaljakellunta during its long history, which by some, is considered a miracle. If you participate, make sure to stay safe and help keep statistics this way! In this section we have listed various tips, that will make your beer floating day nicer and safer. Keep in mind that even following all these steps will not guarantee complete safety and every person is floating at their own resposibility. 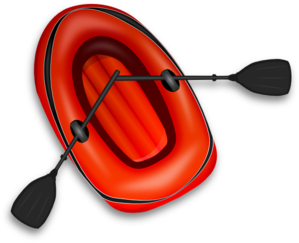 Although you rarely see people wearing life vests at Kaljakellunta, it would be incredibly smart to wear one, as a life vest will keep you floating if you fall off your boat. Even if you are a good swimmer, falling in a deep river under the influence of alcohol is dangerous. 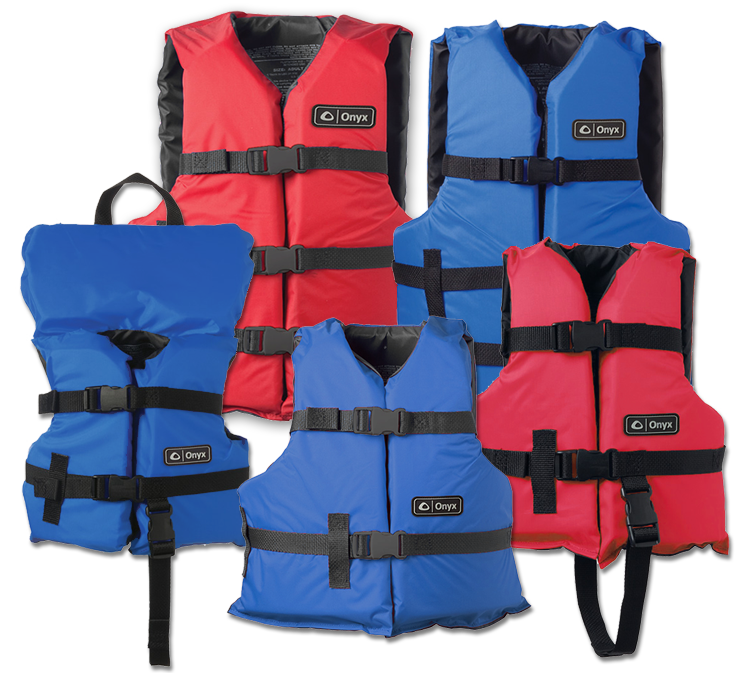 An affordable life vest can be bought here on eBay in all sizes. As mentioned, alcohol and a deep river is a life threatening combination. Leave liquours at home and stay on beer; a quickly aquired intoxication won’t disappear in a couple of hours and the day is long! As the event lasts up to 8 hours, you can be sure that even just beer will hit you at some point so be careful with that too. Remember to bring plenty of sun screen to avoid sunburn and a hat to avoid getting a sunstroke. 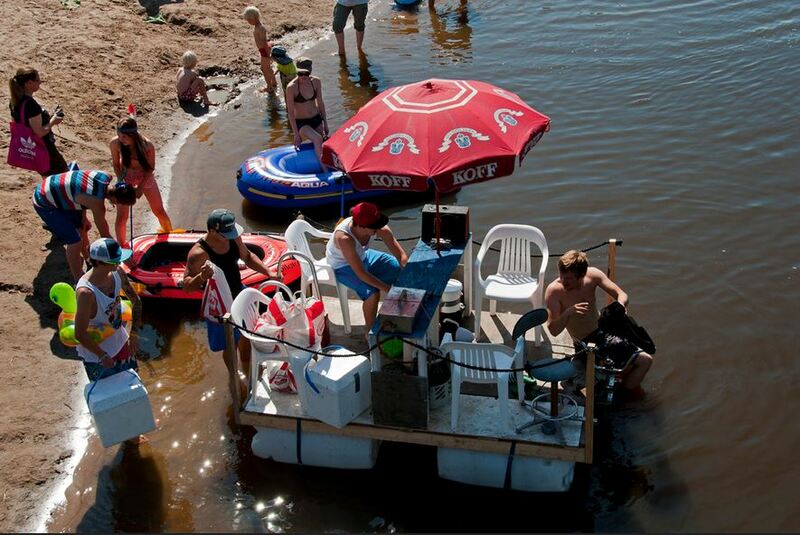 In an open boat in the middle of a river you are completely vulnerable to the sun. But Finland is a cold country right? Yeah sure, but not during the summer; that time of the year the temperature can get up to 30’C and the UV rays are strong. 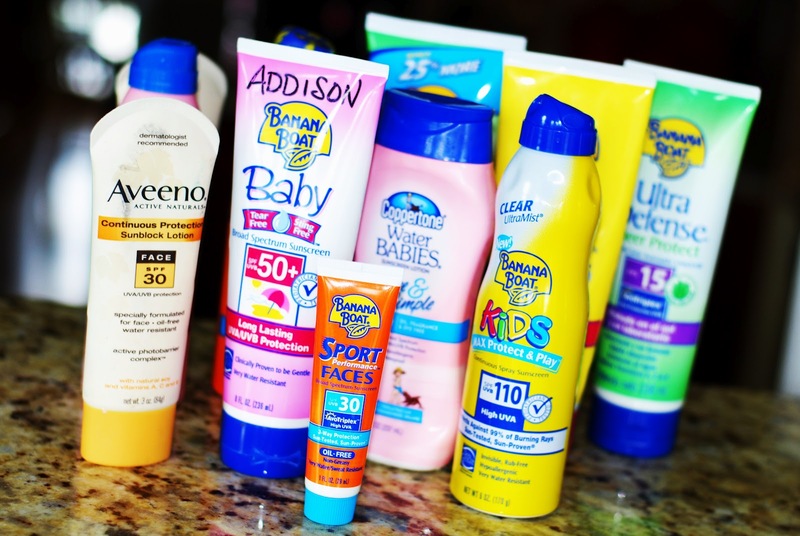 Cheap sun screen can be bought here on eBay. 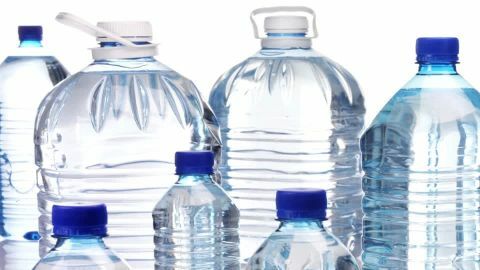 Grab a couple of big water bottles or canisters with you. Drinking water throughout the day helps you keep hydrated and feeling better. Keep in mind that the day is hot and long, plus alcohol makes you dehydrated. 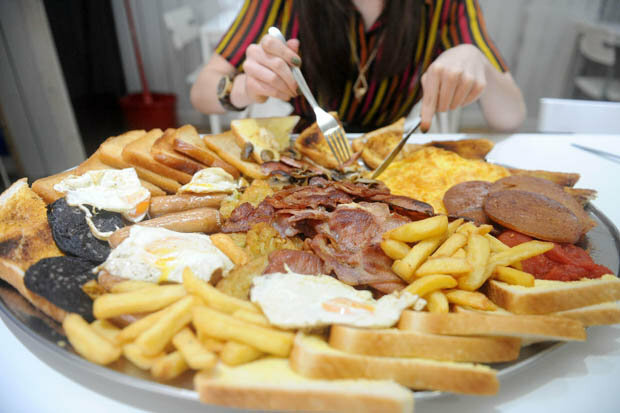 Remember to eat a proper greasy breakfast and bring some munchies. As the beer floating event is completely unorganised, there aren’t any hot dog stalls around and the areas around the river are pretty remote. I’ve once seen a raft where the guys were selling sausages from, but better not risk it and bring your own, as you will get hungry at some point for sure! There seems to be more and more self built rafts each year at Kaljakellunta and sometimes they have pretty sharp edges or even nails sticking out. Be careful, as hitting one of these might hurt you or sink your boat. If you’re building one yourself, think of all the others around you too and avoid creating shrap corners. 7. Help your friends and strangers! Last but not least: make sure to help if you see someone in danger. As said, there hasn’t been a single drowning in Kaljakellunta thanks to the community athmosphere where people all help each other out when needed. Whether its just duct-taping (or Jesus-taping as we say in Finland) a hole on someones inflatable boat or saving a drunkard from drowning, you can always make a difference! Would you like to get important information regarding the event by email? We will send you the voting date, event date and place once they are confirmed. Your information will never be shared or sold to a 3rd party. We do NOT send spam.